Scottish Labour leader Richard Leonard has called for employment law to be devolved to Holyrood to protect workers, such as those facing job losses at Michelin Dundee and BiFab in Fife. 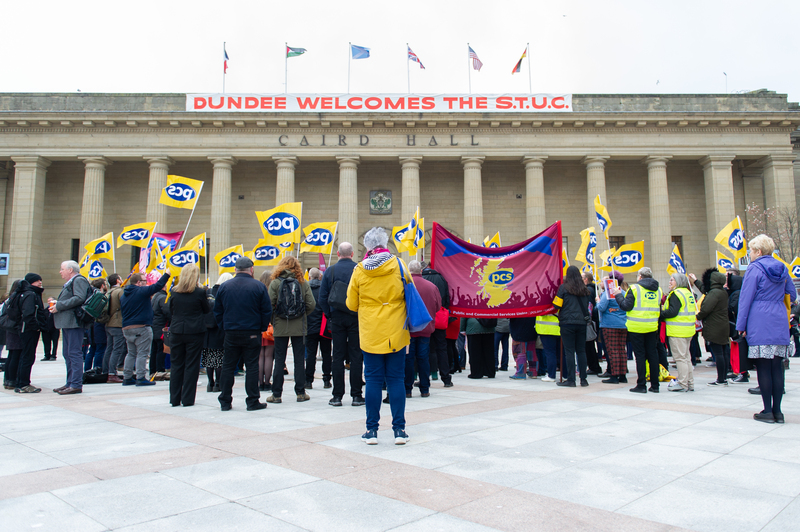 Addressing the Scottish Trades Union Congress (STUC) at the Caird Hall in Dundee, Mr Leonard said a Labour government would scrap Council Tax and set new standards for workers rights, including appointing a dedicated cabinet secretary for labour. More than 800 workers have been told they will lose their jobs when Michelin’s Baldovie tyre plant ceases manufacturing in 2021, while hundreds more were axed at BiFab yards in Burntisland and Methil after the company experienced huge losses. Mr Leonard insisted more powers over employment law should be transferred to the Scottish Parliament, along with an extension of “industrial democracy”, to avoid a repeat of the swingeing redundancies experienced by both workforces. 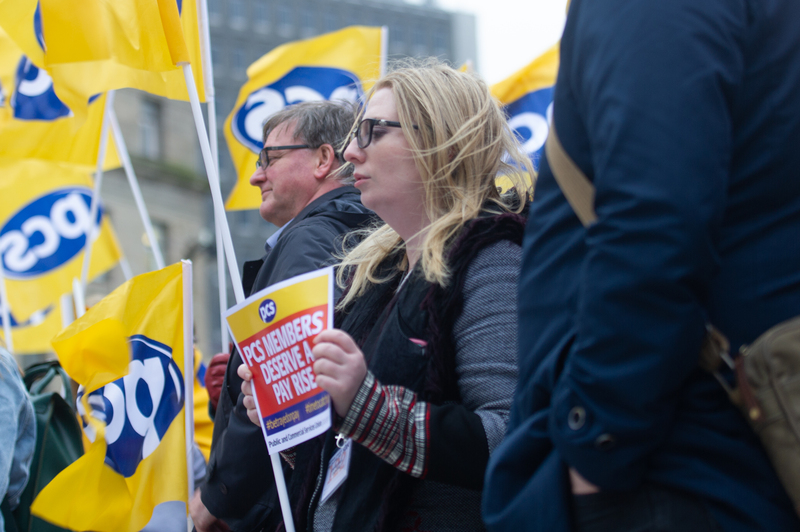 “When I met Marc Jackson and the Michelin shop stewards a few weeks ago, he told me that Michelin did not close the factory, the market closed the factory,” Mr Leonard said. 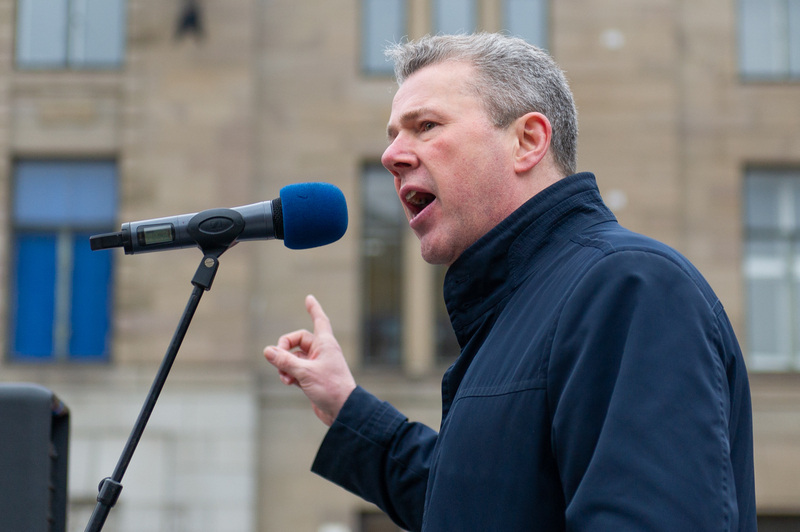 Mark Serwotka (General Secretary PCS Union) addresses the rally. The Scottish Labour leader said “too much power rests in too few hands… and all too often in far away board rooms,” adding that devolved legislation should have a “pre-Brexit floor” to ensure workers’ rights can only be built upon, not rolled back. The Courier reported on Monday how employees would be handed a legal right to buy the companies they work for when they face closure or are put up for sale under plans backed by Mr Leonard. He promised the party would fight the 2021 Scottish Parliament election on a pledge to make the Living Wage and labour standards, including trade union rights, a “compulsory requirement” in securing public contracts. He also noted the findings of a new Unison Jimmy Reid Foundation report, which called for a “fundamental review” of local government funding. It found nearly half of all Council Tax revenues are devoted to servicing borrowing interest. “It’s time that came to an end,” Mr Leonard said. The MSP received his loudest applause of the afternoon when he hit out at BAM, the firm behind the construction of V&A Dundee, for its links to blacklisting – compiling information on workers to potentially deny them employment. BAM has insisted it does not engage in blacklisting but admitted “limited use” of a database of 3,200 workers drawn up by The Consulting Association.